John Simm has just acquired an iPhone, but with it comes a quandary: should he protect it with a leather case, or would that constitute a style error? It’s a tricky one, but Dr Who fans familiar with Simm, as the satanic Master, will not be taken in. They will suspect he is seeking to pass among us unobserved and that he has plans to destroy the planet – plans that will unfold in the Dr Who special on Christmas Day, following this Sunday’s one-off, The Waters Of Mars. Until then, 39-year-old Simm really does seem like a perfectly ordinary bloke. He wears a blue cotton jersey, faded jeans and brown boots. The boyish looks, which launched his career as a Jack-the-Lad in The Lakes, have been seasoned with salt and pepper in his short-cropped hair. And it looks like he’s succumbing to middle age now he’s in a West End play, Speaking In Tongues, about two couples whose lives are torn apart by affairs. 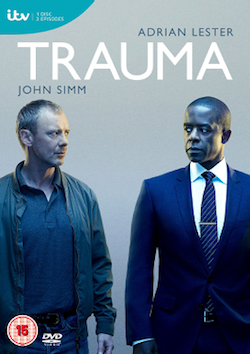 But if Simm really is putting behind him the time-travelling roles of Detective Inspector Sam Tyler in Life On Mars and The Master in Dr Who, his fans might not let go so easily. One line in his play gets a laugh every night, when fellow actor Ian Hart tells him he looks like a policeman. ‘It’s just dawned on me why they laugh,’ grins Simm. But these amusing moments come as light relief in a play that is otherwise a tense moral parable. Away from the stage, Simm’s sci-fi fame has attracted an alliance of anoraks and trainspotters. On websites such as Den of Geek, Dr Who fans – known as Whovians – are aflutter with speculation about the Christmas Special, The End Of Time. It’s to be a final showdown between David Tennant’s heroic Doctor and Simm as his evil nemesis, The Master. Like the Doctor, The Master is a Time Lord from the planet Gallifrey, but they have been arch-enemies since The Master went mad after peering into a gap in the fabric of space-time. Simm fans will have to wait to see him until after this weekend’s episode, in which the Doctor helps Lindsay Duncan deal with a waterborne virus on Mars. Its follow-up Christmas show promises to be a two-part epic. The Master is one of the most terrifying characters on children’s television – my five-year-old daughter could not credit the idea I’d met him and survived. Screaming tots have hidden from him behind the sofa for nearly 40 years, ever since Roger Delgado first tweaked his moustache in 1971. A big motivation for Simm in taking the role was to convince his eight-year-old son, Ryan, that he does have a day job. Simm acknowledges there was a touch of the Joker from Batman in his rendition of The Master. Sworn to silence on what’s in store, Simm won’t even say if we will see David Tennant mutate into the next Doctor, Matt Smith. But the action is rumoured to be flung across the universe, and Simm’s eyes light up at the memory of filming. ‘Why not?’ I cry. ‘You are The Master!’ Sadly, he won’t budge. 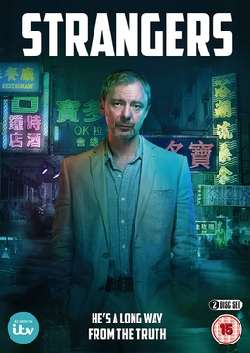 No less amazing for Simm was being whisked away for Life On Mars through a time warp to Seventies Manchester, a place close to where he was born and raised. But perhaps the best thing about Life On Mars for Simm was the chemistry he shared with Philip Glenister, who played the fabulously un-PC DCI Gene Hunt opposite Simm’s 21st-century cop. ‘We more or less lived together for the two years of Life On Mars; it was like we were married! We never got tired of each other, we just moaned together like grumpy old men. I adore him. I’m very proud to have been part of a cop double act that had that chemistry because it’s such a rare thing. Although Simm, at first, threw the script of Life On Mars in the bin, deeming it too weird, he came to realise it was ‘a hell of a great part’. So leaving wasn’t easy. If there is any remorse, it’s to do with the American remake starring Harvey Keitel as Gene Hunt and Jason O’Mara as Sam Tyler. ‘I’m not even curious,’ says Simm wryly. 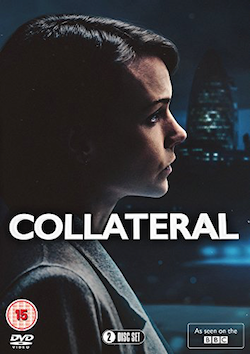 ‘I am Sam Tyler and that’s it!’ Simm laughs, but insists the same applies to the U.S. remake of the TV political thriller State Of Play, in which he starred on TV with David Morrissey. When Russell Crowe took over his role of investigative journalist Cal McCaffrey for the big screen, he says it was like hearing someone else was going out with an old girlfriend. After dating Spice Girl Baby Spice, Emma Bunton, in the Nineties, Simm met and married the actress Kate Magowan. He now lives with her and their son Ryan and two-year-old daughter Molly in Muswell Hill, North London. But could a move to Hollywood be on the cards? •Speaking In Tongues tickets from speakingintonguestheplay.com. The Waters Of Mars is on BBC 1 on Sunday at 7pm. 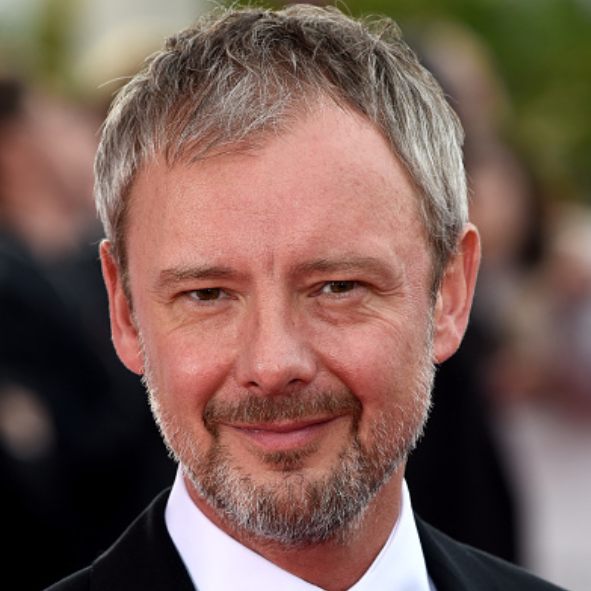 John Simm is the sixth incarnation of The Master, the dastardly rival of Dr Who, following Roger Delgado, Peter Pratt and Geoffrey Beevers, Anthony Ainley, Eric Roberts and Derek Jacobi. All along, he’s been a malignant Moriarty undermining the Doctor’s Sherlock Holmes, controlling people’s minds with his deadly hypnotic gaze. Delgado pioneered the role with debonair sophistication opposite Jon Pertwee in 1971, siding with the escalator-phobic Daleks in a galactic war against the humans. His goatee and swept back hair gave him the look of a Nazi war criminal on the run in Latin America. But after Delgado died in a car crash in Turkey in 1973, he evolved into a Master who looked like a zombie straight from the grave (heavy make-up first inhabited by Peter Pratt and then by Geoffrey Beevers). From 1981, he was played by Anthony Ainley, a Hammer Horror version of Delgado. Eric Roberts took over in 1996, looking like a Brylcreemed Count Dracula, opposite Paul McGann. But when the show was revived with Christopher Eccleston in 2005, Derek Jacobi slipped into the role as a thin-lipped Victorian scientist who was on sabbatical from his wicked ways, until he chanced on a magic watch that unleashed his evil essence. When he too was finally done away with, who could have foreseen his reincarnation as a spindoctored, Blairite megalomaniac? Tags: actor, bbc, craziest, doctor who, dr who, Interview, john, magazine, newspaper, Print, scare, simm, Television, the master, tv, villian. Bookmark the permalink. But again, WHEN will it air in the United States? And which channel? The episode with Derek Jacobi starred David Tennant (in the 3rd Revived Season) – NOT Christopher Eccleston.